Q. Why don’t all the patriotic, pro-White organizations unite instead of each one trying to win the battle against America’s enemies separately? If we could join forces the way those on the other side do, we would begin winning a few battles instead of losing all the time. A. The answer to that question is readily apparent to anyone in the leadership ranks of any of the organizations in question, but it is difficult to explain convincingly to someone who does not have such a favored view. The catastrophe of 1945, with the triumph of the Jew and his allies, made inevitable the opening up of the immigration floodgates for non-Whites into Britain and the United States; the destruction of American White public schools; the enactment of laws curtailing White freedom of association and the rights of White employers and renters (and with them the rights of White employees and tenants); the rise of feminism, homosexuality, and drug use; the breakdown of the traditional family structure; a soaring miscegenation rate; and the displacement of healthy White art, music, literature and drama by a Judeo-democratic-Hollywood ’schlock’ culture. It also led to the metastasis of the Marxist cancer throughout huge areas of Europe and the rise of malignant Zionist power in Palestine — a power which surely would be the instigator of the Third World War. As for the “socialism” in National Socialism, don’t let yourself be deceived by its enemies, among whom are the adherents of the Judeo-capitalists New Right; it certainly has nothing to do with the Semitic socialism Marx and his kinsmen peddled. The first slogan of Hitler’s National Socialists was: “The common interest before self-interest!” They believed that every German, whether a factory owner or a janitor, should put the interests of his nation and his race ahead of his personal interests. That was really what they meant by the “socialism” in National Socialism. The following text is a transcript of the talk given by Attack! 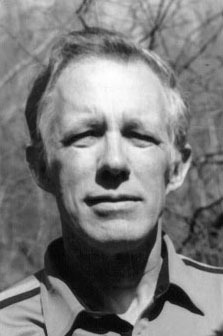 editor Dr. William Pierce at the weekly meeting of the National Alliance on January 16, 1977. Conservative and right-wing political groups are concerned with a number of problems these days: forced school busing, taxes, gun control, street crime, inflation. They oppose these things in various ways: through public demonstrations; through propaganda efforts with leaflets, magazines, or newspapers; through lobbying; and through election campaigns. And they gain members and supporters from those elements of the population who are also opposed to these things.